Incredible, rare opportunity to own this stunning 4 bedroom, 4 bath home located in the highly desirable community of Newtown Borough and situated on a large .35 acre lot. Currently undergoing major expansion and renovation, subsequently delivering an almost brand new home from top to bottom! Estimated delivery date of Early April 2019. Enjoy the open concept floorpan which features tons of windows (Anderson) and natural light throughout. 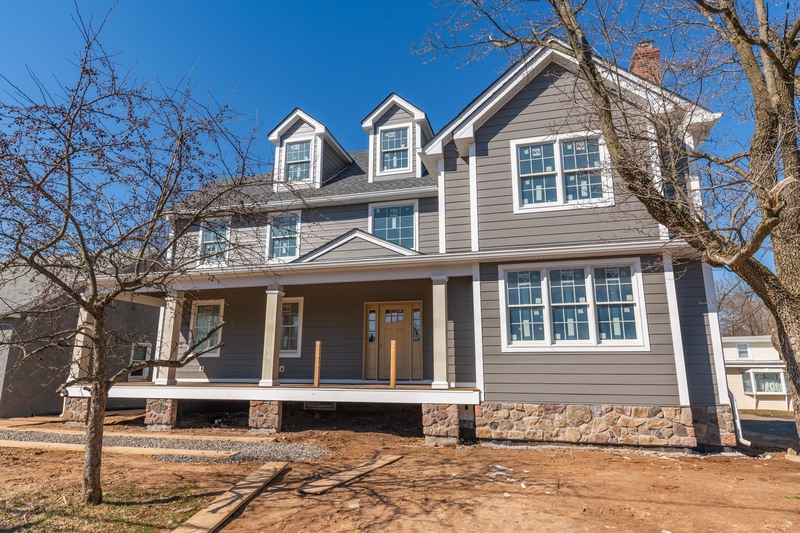 Curb appeal at its finest with pewter colored Hardie Plank siding, white Azek trim, and huge covered front porch with low maintenance decking and overhead recessed lighting. Step inside the Foyer entry; to the left is a large, formal living room; to the right is the kitchen, dining room and sitting room. Elements of the old and new exude charm and appeal as the fireplace is centered in the dining area, flanked by the original brick wall and custom mantel and moldings. Custom millwork and shelving defines the kitchen area with peaks of the original brick chimney backdrop. 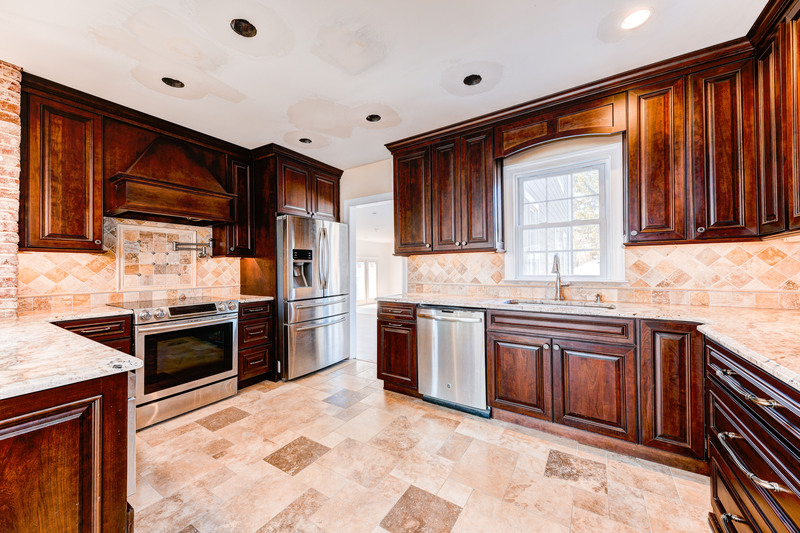 The custom kitchen was remodeled 3 years ago, and features 42in Cherry Cabinetry, stone backsplash, under-counter lighting, granite countertops, Microwave drawer, slow close doors and drawers, pantry cabinet with pull outs, and stainless steel appliances. Through the kitchen, you will find the breakfast room which steps down and opens to the spacious great room. A second set of stairs to the 2nd level is also found in the back of the home for easy access to the bedrooms. A large mudroom with gorgeous 24in porcelain tile is accessed through the side porch. Another door to the side porch provides a separate entrance to the study. To complete the 1st floor, is a full bathroom remodeled 3 years ago providing a great opportunity for a 1st floor bedroom if needed. Upstairs, you will find 4 generously sized bedrooms. The master suite offers the bedroom area, and a sitting room with vaulted ceilings. The Master bathroom features a 9ft vanity with 2 bowls and 3 sets of drawers and a large shower with frameless glass doors; and a walk in closet accessed through the bathroom. A princess suite is featured in the front of the home with a large closet and en-suite bathroom. 2 additional bedrooms are found down the hall, as well as the hall bathroom with double bowl vanity. The 3rd floor has tremendous potential for additional living space and has been floored. Other features include 4 Zone heating and air, spray foam insulation on all exterior walls throughout, Custom trim package around all windows and doors, 5in red oak hardwood flooring throughout, tons of recessed LED lights throughout, and TV cable conduits in almost all the rooms. A 30’ x 30’ garage offers 2 garage bays and plenty of storage or parking. Don’t miss your chance to own this gem of a home! Click here for the property website!